The otherworldly landscapes of Iceland offer perhaps the closest thing one can have to an out-of-body travel experience. Equal parts rugged and tranquil, the country’s beauty offers the perfect sanctuary from daily distractions back home. Your soothing journey across the country’s southern coast starts with a hike up Öskjuhlíð Hill overlooking the mosaic-like architecture of Reykjavik. 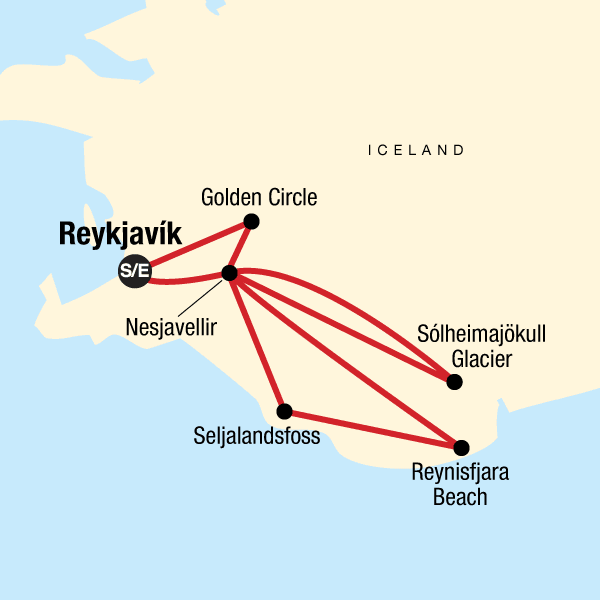 Private transportation offers you the luxury of time to see the iconic sights of the Golden Circle and Thingvellir National Park before heading to the stunning black-sand beaches of Reynisfjara for a unique yoga session. And, of course, a visit to Iceland wouldn’t be complete without a stop at the Blue Lagoon, a naturally-heated hotspot for travellers willing to go halfway around the world just to unwind. Allow USD310-405 for meals not included.